The holidays are finally here! Are you gearing up for the festivities? You bet we are! Giant Santa is here to spread the Christmas cheer, Giant-style. Spruce up your parties with these meaningful yet wacky gift ideas at great value! Having trouble searching for the perfect present for your loved ones? Fret not, as our Giant Santa seamlessly curates amazing gift solutions, which matches both your personality and the receiver’s personality in two simple steps below! If you are looking for a legitimate gift ideas, simply select “conventional” and all appropriate gift ideas will be revealed! On the contrary, if you want to spice things up with quirky gifts this season, simply select “unconventional” and all the bizarre gift ideas will pop up instantly! 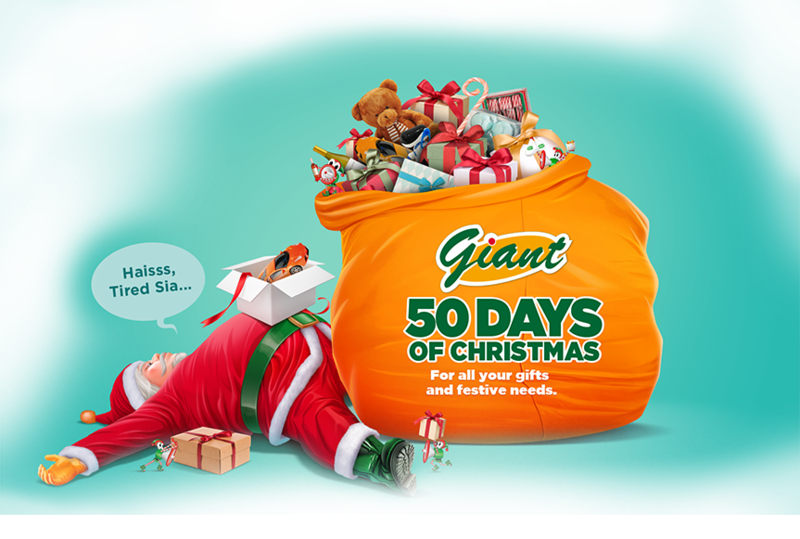 Gather all your affordable gift ideas at Giant now! Alternatively, you can get it at Giant’s online store too! What’re you waiting for? Time is precious, so don’t waste any more time shopping aimlessly. Spread the holiday cheer with hilariously wacky Christmas gifts!